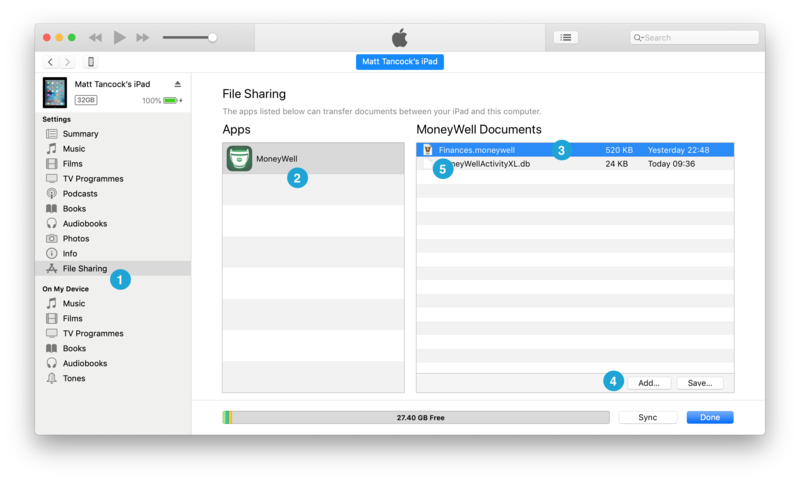 MoneyWell for iPad and MoneyWell for Mac use the same file format. It is therefore possible to transfer a file from one and open it in the other. 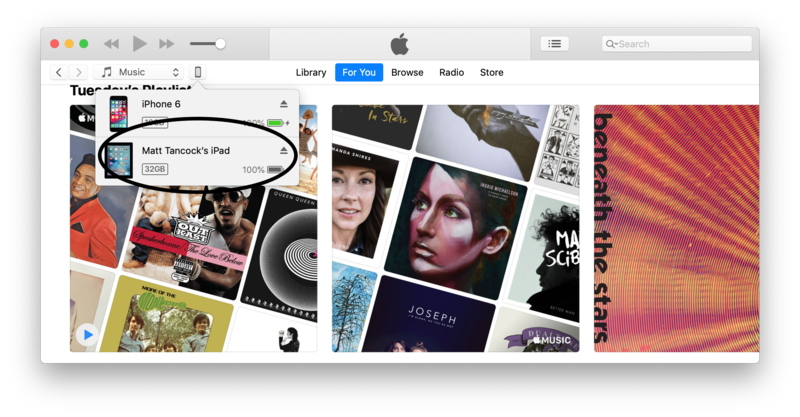 To do so, you will need to connect your iPad to your Mac so it is accessible from iTunes. Note: You will need to have opened the app at least once on the device and gone through the on-boarding process to create an account - otherwise doing this after transferring the file will cause MoneyWell to overwrite your transferred file with a new, blank one. Once you've done that we would suggest "Force quitting" the app to make sure it's not running and still using the accounts file. If you then open MoneyWell on your iPad, it should open the new file. Click "Save" and then choose a location (preferably where you know you're not going to overwrite any other documents). 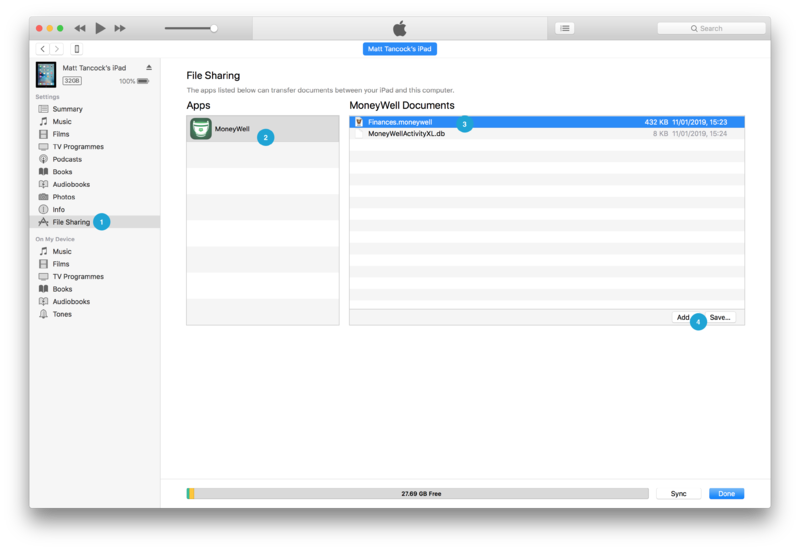 From MoneyWell for Mac you should then be able to open the document you have just saved.